Guide bush-less Swiss NC lathe by Tsugami. 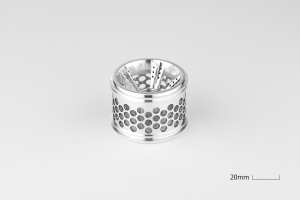 Typically used for mass production of small diameter parts. Swiss-type NC lathe made by Citizen. 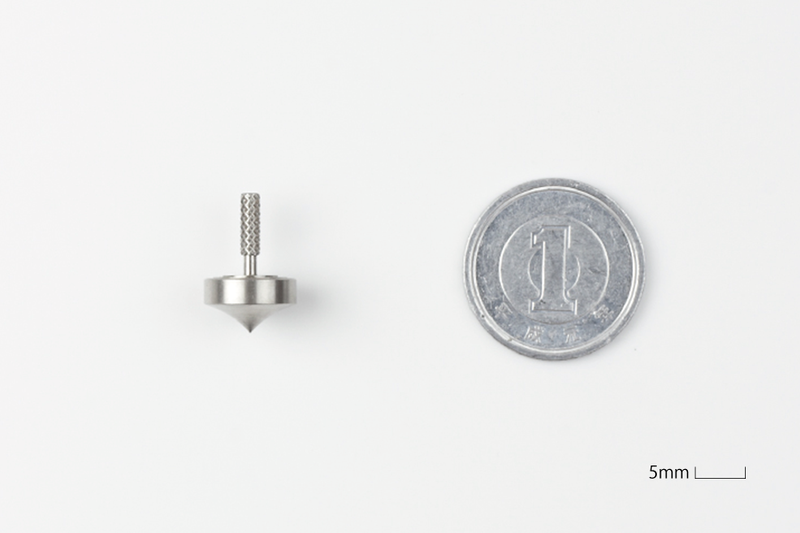 Bar size Φ2～16mm. Capacity from small lot production of several hundreds to mass production, such as stainless steel aeronautic parts. 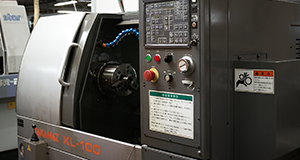 Swiss-type NC lathe by Star Micronics. Bar size Φ2～Φ16. Used for our smallest diameter parts requiring high quality surface finish, such as parts for mechanical watches. 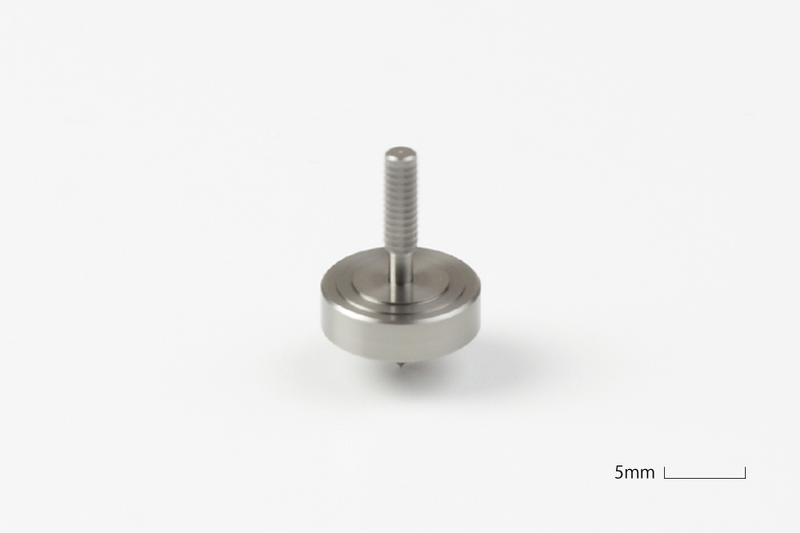 Bar size up to Φ20mm. 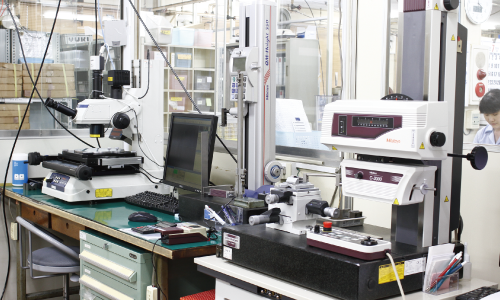 Our machine with the most reliable precision. Mechanical watch crown. Knurling with pyramid shape is milled. S0.5 screw for mechanical watches made from Ti-6Al-4V. External diameter is 0.5mm. 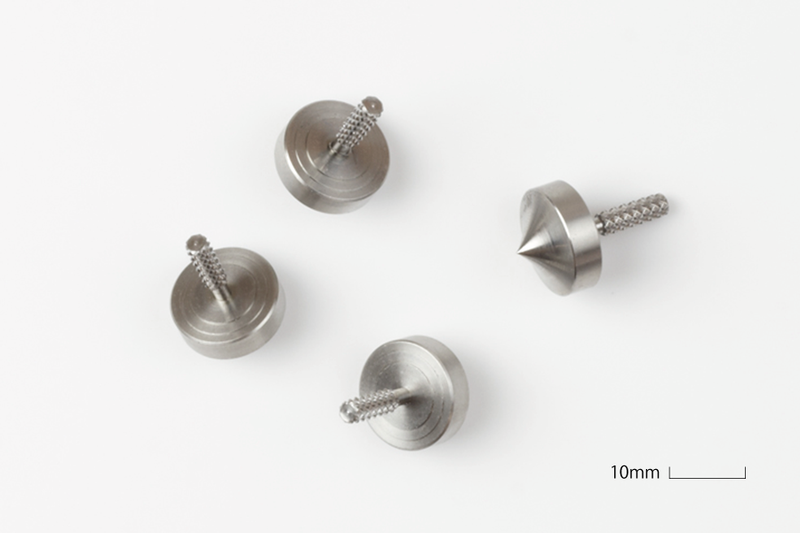 Some are less than 0.2mm in diameter. 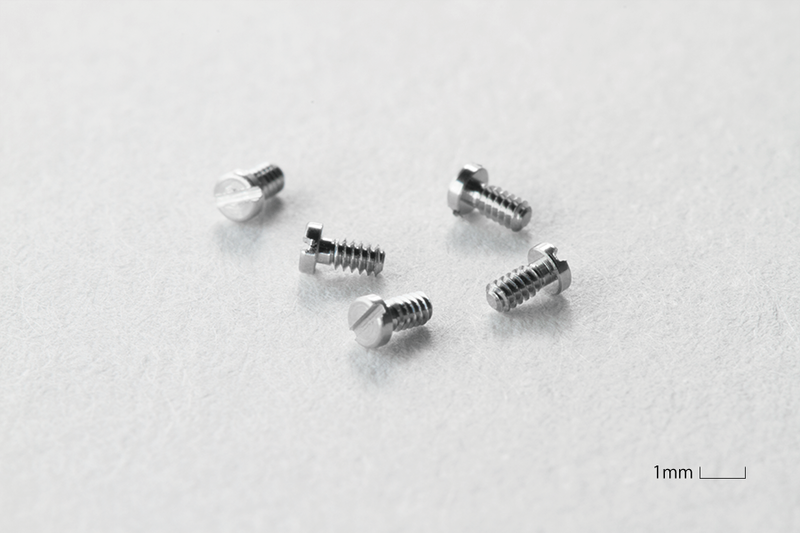 Tolerance is 0.005mm. 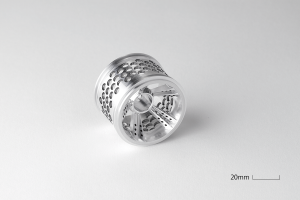 This spinning top was made for participating in Koma Taisen Contest, a tournament of spinning tops by Japanese SME manufacturers. Spoke shaped like wings to reduce the volume and weight of spinning top. 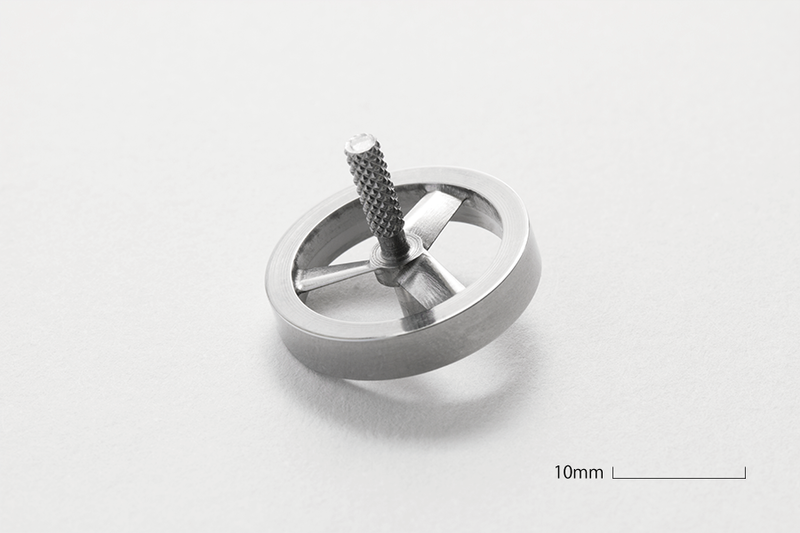 Spinning top designed by YUKI Precision. More than 10000 tops sold already. 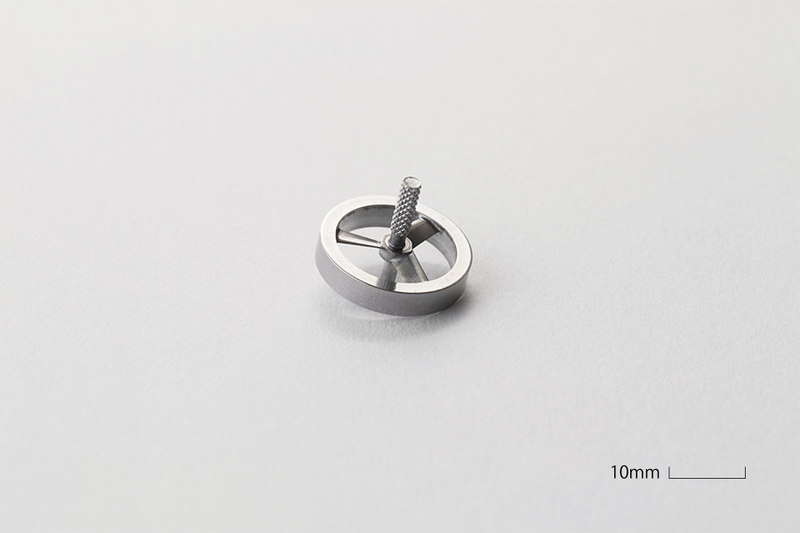 It’s small at only Φ10mm in diameter, keeps turning up to 3 minutes. 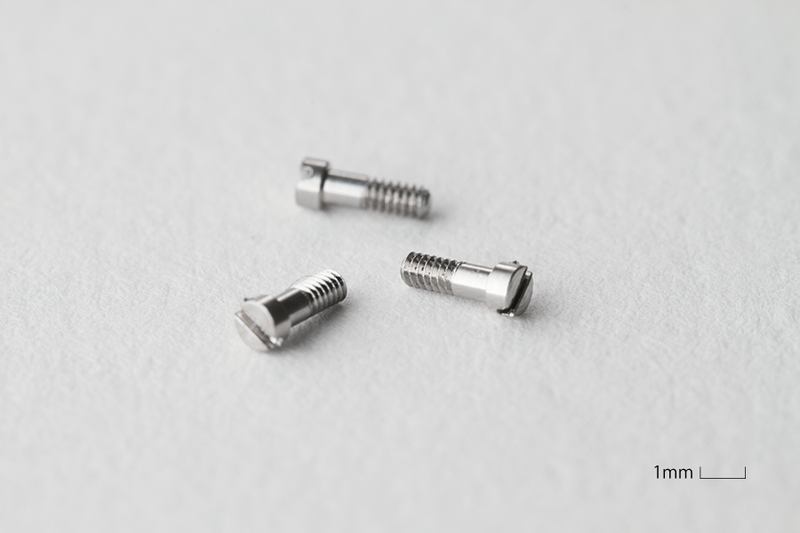 Fasteners including bolts, nuts, and bushings for aviation are made with care as surface finish and tolerance requirements are stringent. 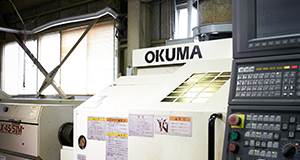 CNC lathe made by Okuma. Bar size is Φ8 to 39mm. 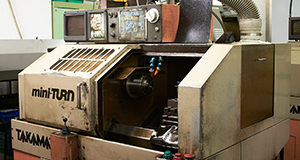 This machine will covers sizes Swiss-type lathes cannot handle. 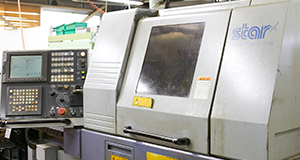 CNC Lathe with combined milling function. 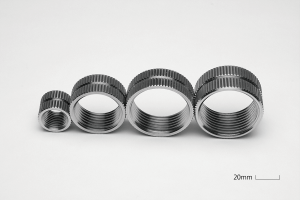 Okuma machines have high rigidity and good resistance to machine precision fluctuations against heat, perfect to mass produce high precision aircraft parts. 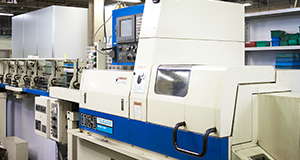 CNC combined milling/turning machine made by Hitachi Seiki (now DMG Mori Seiki) Bar size up to 65mm. 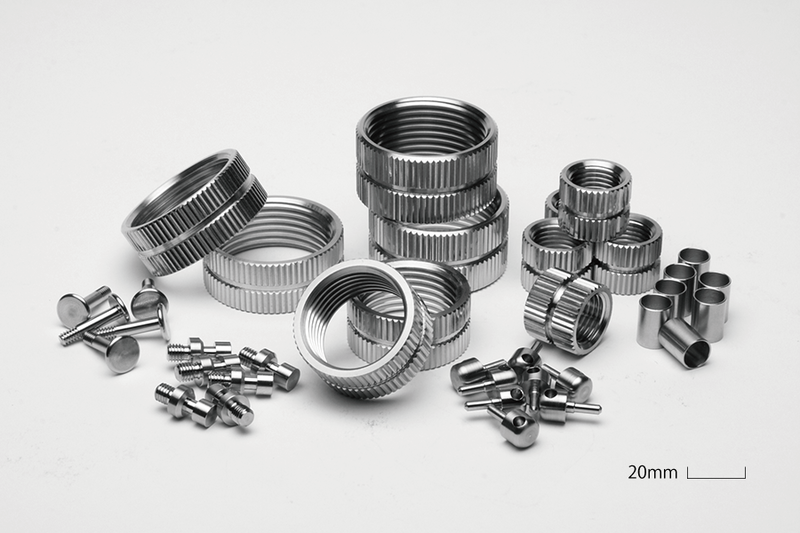 With various tools, complex features can be machined. 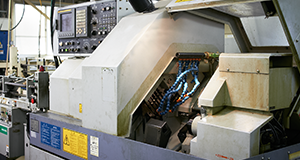 CNC automatic lathe with turret system with milling capability. 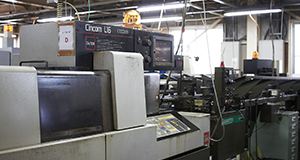 Used as second process machining. High precision for parts requiring micron tolerances. 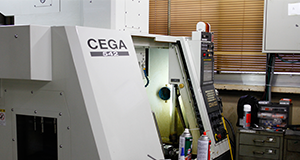 CNC lathe with horizontal tool bed layout enabling a wide range of tooling options. 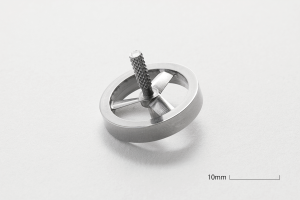 Wheel for radio-controlled vehicles. 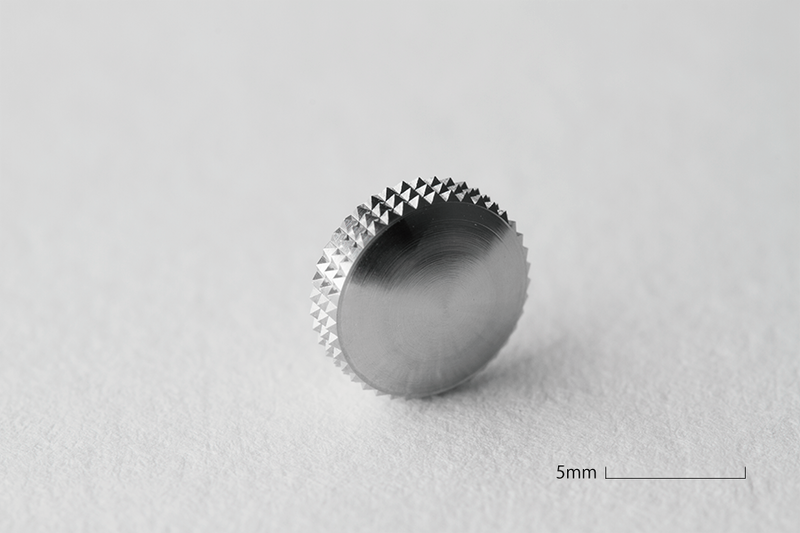 CNC turning makes the cylindrical form first, then the spokes are milled using small diameter end mills. Design by Znug Design, Inc. 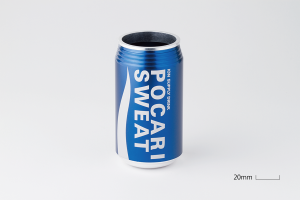 Looking like a real beverage can, it is cut from a bar stock, treated with the blue anodize and finished with laser marking. This is a project to bring messages of children to the Moon as a time capsule. 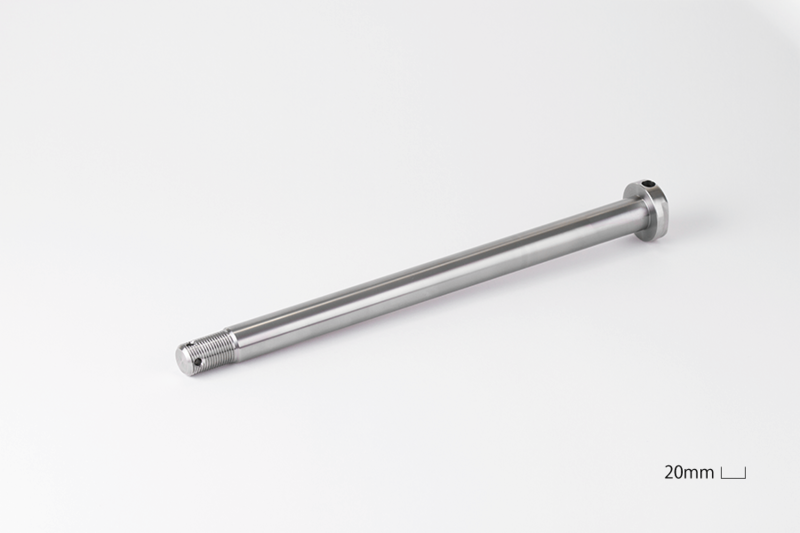 Axel shaft for a motorcycle made with Ti-6Al-4V. Screw, shaft and head is machined in one process with combined machining. 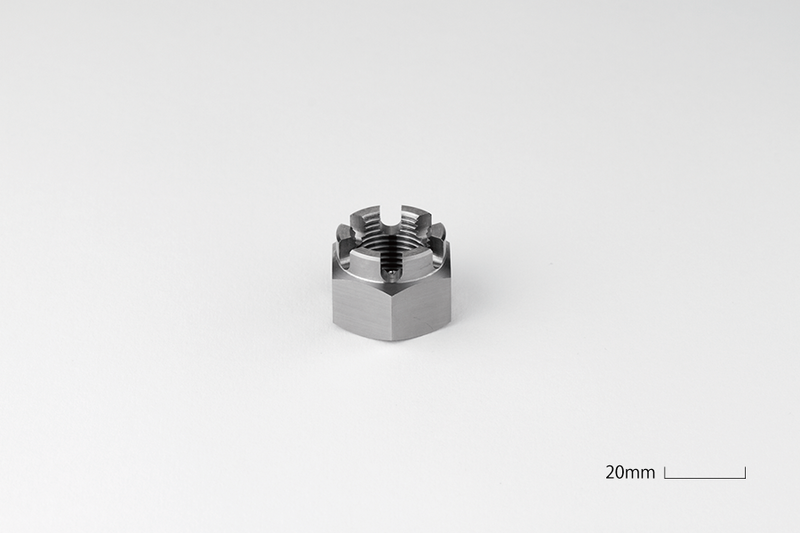 Nut for an axel shaft with cutouts. Ti-6Al-4V. 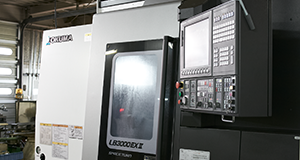 CNC machining center with high speed spindle and high precision made by Roku Roku Sangyo. 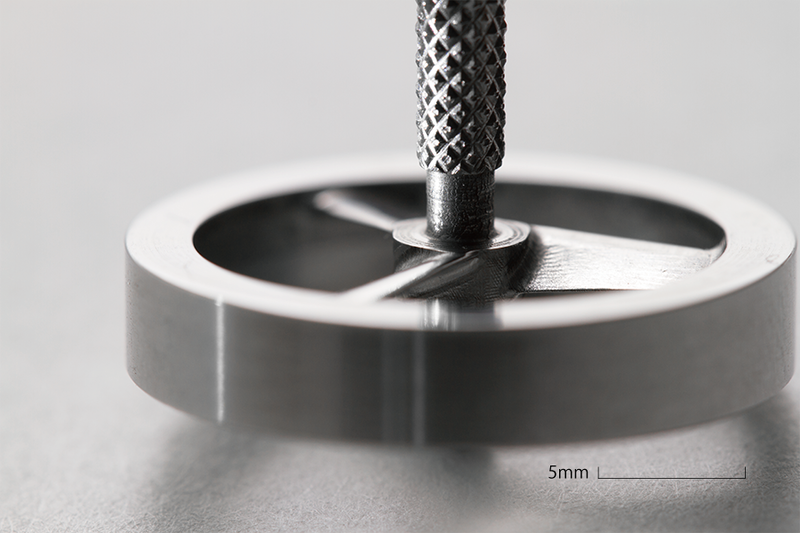 Spindle rotates at 30,000rpm. The positioning precision is ±0.1μm. 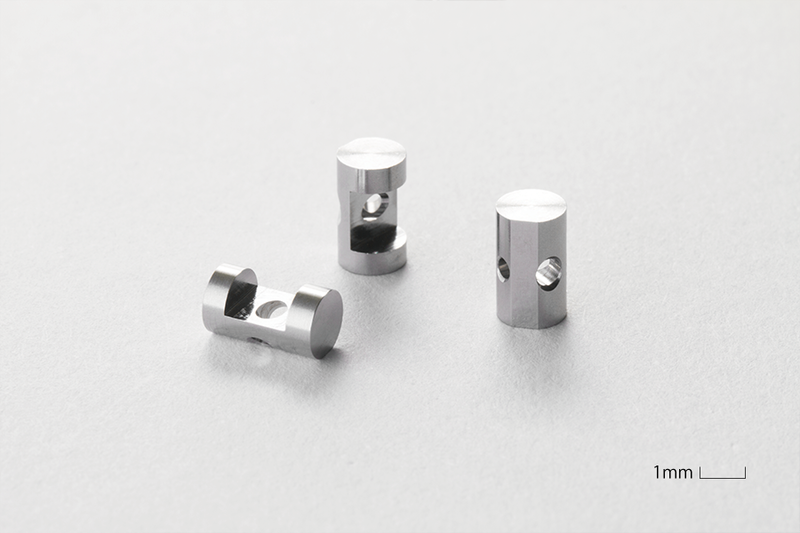 Used to machine fine parts and features using small diameter end mills such as Φ0.3mm. 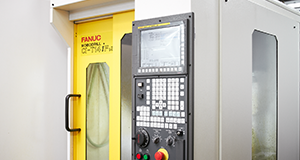 FANUC ROBODRILL machines generic parts. The machine is compact and easy to operate. Used primarily for second process after turning. 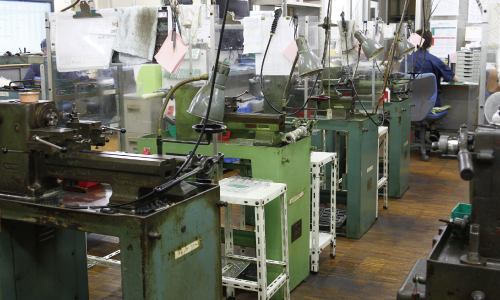 Automatic tool change is quite rapid, useful for mass production. This spinning top was made for the participation of Koma Taisen Contest, a tournament of tops made by Japanese SME manufacturers. Spoke shaped in order to reduce the volume and weight of spinning top. This is a wheel for radio-controlled vehicles. 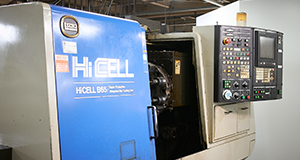 CNC turning makes the cylindrical form first, then the spokes are milled usign small diameter endmills. Design by Znug Design, Inc.
High precision part used in optical devices. 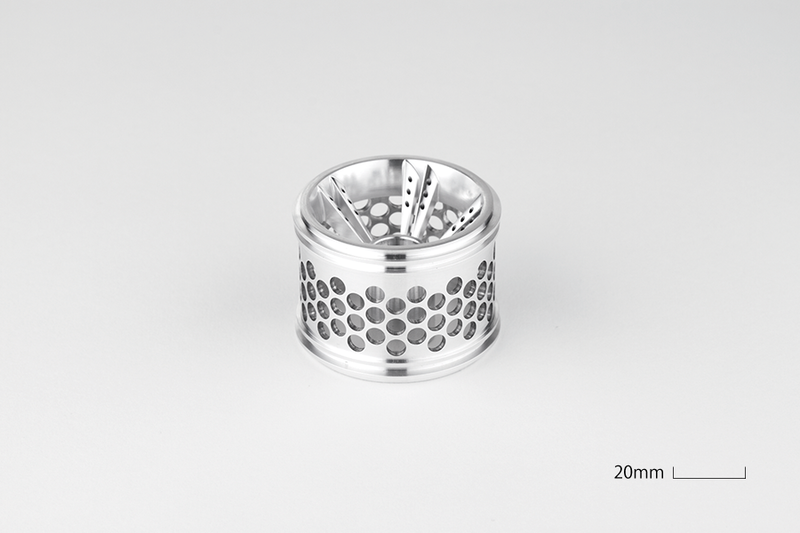 First machined by an automatic lathe, then finished with machining center. 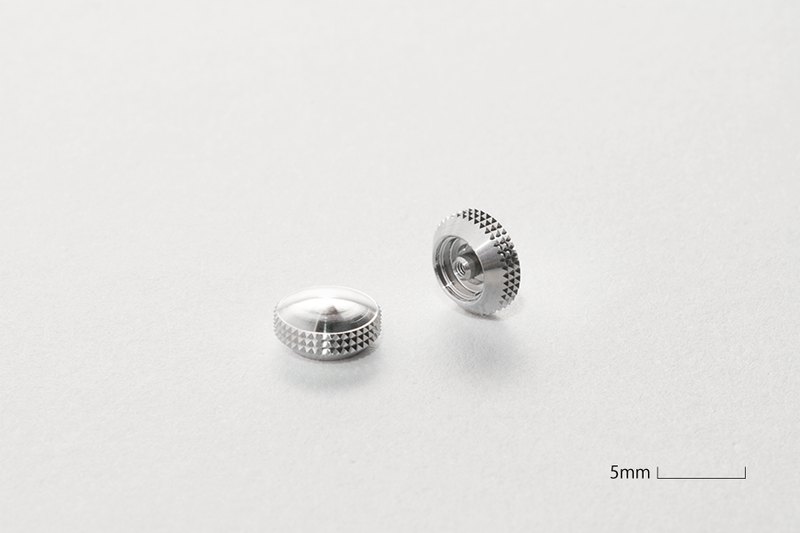 The external diameter is about 5mm.